The regular season may only have just two weeks left, but there is still plenty of shakeup happening across the Bay State. This week Masconomet makes the jump into the top five of our poll, while Mansfield surges into the top 10. A recent second wind finds Catholic Memorial back in at number 20 and St. Peter-Marian appears for the first time this season. Courtesy of our panel of writers, correspondents, and editors, here is our updated MIAA Baseball Top 25 Poll. 1. Wachusett (16-1; Last Week: 1) Mountaineers taking care of business as they look to secure a home game in the Super Eight. 2. Austin Prep (14-1; Last Week: 3) The Cougars continue to roll and made a huge step in trying to become the first Div. 3 team to make the Super Eight with a 7-3 win over Peabody. 3. St. John’s Prep (11-4; Last Week: 7) No one has played as well as the Eagles over the last three weeks. Josh Cerretani has been as consistent as anyone at the plate this season. 4. Central Catholic (12-4; Last Week: 2) Steve Hajjar continues to dominate. What happens after that will determine how the Raiders fair down the stretch. 5. 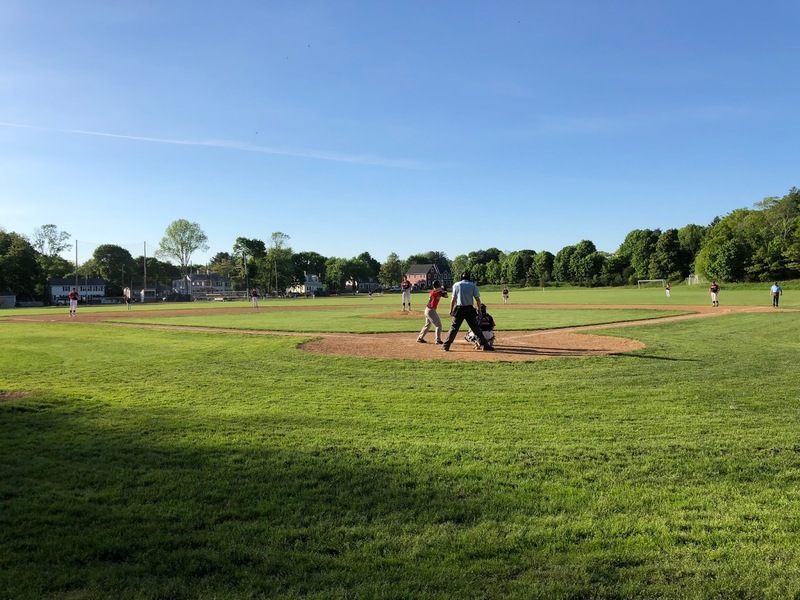 Masconomet (16-2; Last Week: 13) Andrew Manni is doing it all for the Chieftains complementing his power at the plate with a no-hitter in a win over Lynnfield. The win over Beverly on Saturday proved Masco is for real. 6. Mansfield (15-3; Last Week: 14) The Hornets have proven they can win in a variety of ways. Tyler Dalton and Kevin Dow is as good a 1-2 punch as there is out there. 7. Boston College High (9-5; Last Week: 8) All eyes will be on Mike Vasil Tuesday when he takes the mound against St. John’s Shrewsbury. 8. 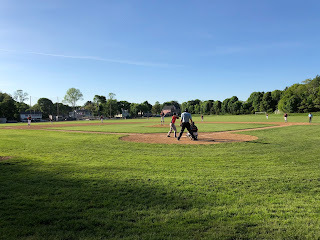 St. John’s Shrewsbury (12-5; Last Week: 6) Final 10 days have become crucial for the Pioneers beginning with Tuesday when they head to Dorchester to take on BC High. 9. Plymouth North (14-2; Last Week: 10) Blue Eagles have chance to make a major statement on Wednesday when they go for the two-game sweep of Xaverian. 10. North Attleboro (14-1; Last Week: 12) Red Rocketeers have allowed more than four runs in a game just once. 11. Walpole (11-4; Last Week: 15) Cam Schlittler turned in a masterpiece in the Rebels' biggest game of the year so far this season. A matchup with Mansfield on Friday could have big postseason implications. 12. Franklin (15-4; Last Week: 9) Panthers Super Eight hopes took a slight hit on Monday when they lost to Mansfield. They have a chance to make a big statement to close out this season this upcoming weekend. 13. Xaverian (10-6; Last Week: 16) Hawks picked up right where they left off at the beginning of last week with a 10-3 win over Silver Lake on Monday. A critical game on Wednesday against Plymouth North looms. 14. Lexington (12-6; Last Week: 5) The Minutemen have hit a brief of a skid going 2-2 over their last four games. 15. North Andover (11-4; Last Week: 4) Since starting off 9-2 the Scarlet Knights have gone 2-2 with losses to Chelmsford and Catholic Memorial. Sebastian Keane righted the ship on Monday throwing a complete game shutout while striking out 11. 16. Wellesley (13-4: Last Week: 21) Raiders continue to creep into the Super Eight talk with their recent play. Henry Weycker looks to be rounding into last June form. 17. Beverly (14-3; Last Week: 11) The Panthers came up a run shy to red-hot Masconomet on Saturday before bouncing back with a win over Salem on Monday. 18. Andover (8-4; Last Week: 17) With still eight games to play the postseason is still far off in the distance for the Golden Warriors. Their pitching continues to be as good as any in the Bay State. 19. Belmont (11-4; Last Week: 18) Three huge games on the schedule this week that the Marauders need if they want to have any hopes of making their second straight Super Eight berth. 20. Catholic Memorial (11-7; Last Week: NR) Knights are back in the poll as they continue to pile up an impressive amount of quality wins. Colin McGrath has been as good as they come on the mound. 21. Brockton (13-3; Last Week: NR) The Boxers have regained their early season form after a brief slide. A pair of wins yesterday has them in prime position for a top seed heading into state tournament play. 22. Danvers (12-4; Last Week: 19) Falcons fell victim to a terrific pitching performance by Bishop Fenwick's David Furtado in a 1-0 loss on Saturday night. 23. Reading (9-4; Last Week: 20) A test on Friday against Belmont will go a long way in determining the Middlesex League Liberty’s champion. 24. St. Peter-Marian (10-4; Last Week: NR) For the first time this season the Guardians make their way into the poll. They have won 9 of 10 and are one of the hottest teams in Division 1 as the season enters its closing days. 25. Brookline (12-6; Last Week: NR) Warriors’ with just two games left before heading into postseason play.